Are you a reseller or professional installer? CCTV Camera Pros is a factory direct Vivotek distributor and offers discounted reseller pricing for professionals in the business. Please Note: The Vivotek VS8102 is no longer manufactured. Please refer to the IP Network Video Server page for a replacement. The Vivotek VS8102 is an ONVIF compliant IP video server that converts analog CCTV video to a digital IP video signal. IP video servers are typically used what you need to use a CCTV camera with a network video recorder or when you want to enable remote access over IP without using a network enabled analog DVR. The Vivotek VS8102 replaces the Vivotek VS7100. Some of the new features include H.264 video compression, local recording via SD card, and 12V DC output for the analog camera that is connected to it. The VS8102 supports power of Ethernet, so you can supply power to the device over a cat-5 cable and in turn supply power to the CCTV camera connected to it using the power out. This is very convenient for installations. The built-in SD/SDHC card slot offers a portable storage option which prevents data loss in the event of network connectivity problems. 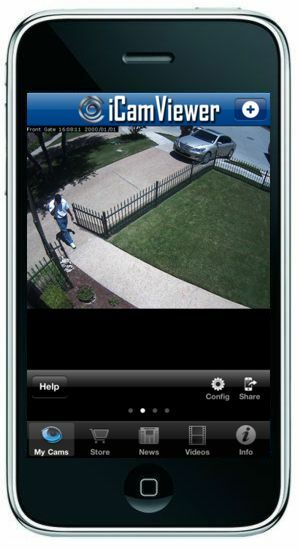 The Vivotek VS8102is compatible with the Free iCamViewer app for network cameras. This device enables any CCTV camera to be compatible with the iCamViewer. 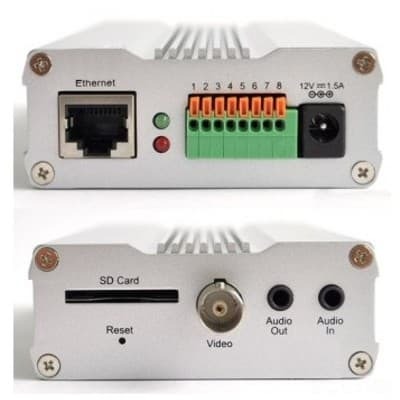 This IP video server is PoE (power over Ethernet) compliant which allows the installer to run a single CAT-5e cable to provide both power and data connectivity to the server. CCTV Camera Pros supplies the following PoE injectors and PoE network switches which are compatible with this video server.